Now that LBIisAlive.com is really rolling, you would probably like to know who is behind this whole site and its campaign? We wanted to help our beloved island get back on its feet and ready for the summer. We are year round residents and have been on the island for over 2 decades. This site, the twitter account and email is all run by me, Sam Sepanak. I have lived on LBI for 21 and a half years, aka my whole life. I graduated Southern Regional in 2009 and I am now a graduate of PSU’s Smeal College of Business Class of December 2012 with a Marketing degree as well as a concentration in tourism and services marketing. I have worked with a student run start up business doing fundraising, social media marketing as well as creating blog content. While I was pondering my plans for post graduation, Sandy visited LBI, uninvited. Obviously, I was shocked/surprised/unbelieving/etc as the rest of you that this even happened. The other half of this group convinced me that something needed to be done and we would make a great team. That other half was Pat Sepanak. …and my mom. We are currently working in conjunction with the LBI Office of Emergency Management, Long Beach Township and the Long Term Planning Committee. Typestries, Jetty and Waves for Water have also helped us. And of course, we have been working with Jimmy Ward to create the LBI is Alive video. We all love the Island and wanted to help it get back to the way it was and show the world ‘you can knock us down, but we come right on back’. Thanks to you and your mom for all you are doing. You are doing a wonderful job. Keep up the great work! Thank you so much and thank you for support! Wonderful work you are doing. I too was raised on LBI., graduated from SRHS (class of 1974). But wanted to see what the world off the island was all about and left in 1976 to travel the country(in a converted school bus!). 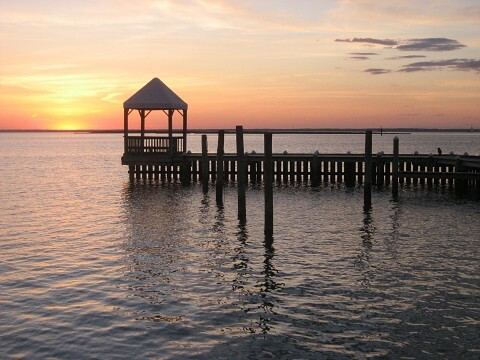 I have been around this great country and to quite a few foreign countries, lived in 5 states, had 3 sons along the way, but my heart has never left LBI. My mom used to tell us that when you live on an island you had salt water running thru your veins. I never understood what she meant by that until I left the island. The constant yearning of the ocean, the smells of saltiness, the sand, even the smell of the bay at low tide are forever ingrained in my being. Mom sold our home and it has since been torn down and in its place, a huge modern masterpiece has risen. But regardless, I will never be content until I am once again living by the sea, walking the beach, listening to the gulls wildly cackling to each other( or to me! ), watching the sandpipers play catch-me-if-you-can with the waves on the shore, being rocked to sleep by the sounds of the ocean as the waves roll onto the sand, and waking up to the sun rising up from the horizon to create another magnificent day. Oh how I love LBI. Thank you for doing what you are for all of us. Cindy, I am jealous of your cross country bus adventure! I have to agree with the idea of salt water running through islanders’ veins, I went to school at PSU and was having ocean/sand withdrawal after the first semester. And yes I would take “low tide” smell over manure any day. I could never imagine leaving LBI, especially after this. LBI forever and always. Thank you so much for sharing your story and thank you for your support! Thanks Sam! Please spread the word if you can! Happy to share your link on my FB wall…keep up the good work, girls!!! 3 cheers to LBI’s comeback and one helluva summer head!! Awesome site, info & videos Sam, you’ve done a terrific job showing our beloved island coming back. Greatly appreciated by those of us who are not year round residents. .
Hi Sam my family n I are from Long Island NY and sections here also got demolished. Hope, determination, uniting & positive outlook helped us rebuild….with that said, we travel to LBI for the past 6 years with this to be the 7th for peace,beauty and to visit all we are always so sad to leave the year b4. Such as Howard’s, engle side inn, uncle wills, chicken or the egg,beach house,meltdown,&the showplace. Well in a month it s LBI here we come again. Nothing will ever stop us from coming here each summer…something oh so special! 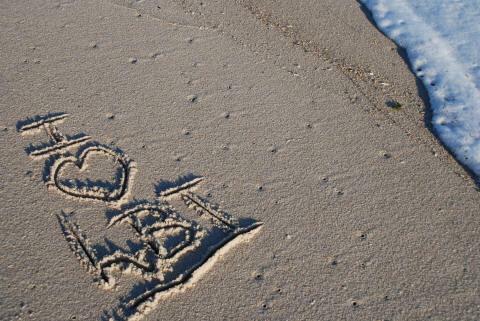 LBI…WE LOVE U !